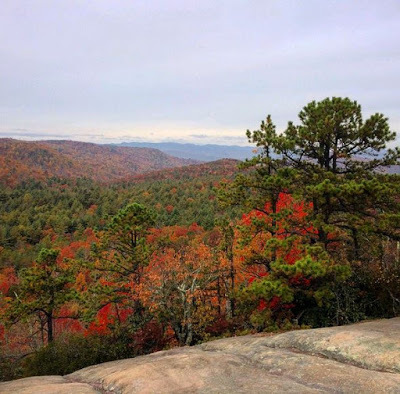 Week 5 of our fall color reporting is hereby declared Peak Fall Color Week at our elevation (2,300) and for surrounding areas like Black Mountain and Asheville. 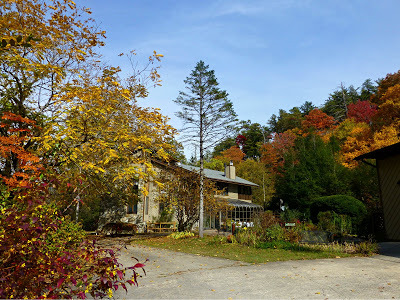 The 2015 fall season has been especially bright, with an awesome variety of reds, golds and oranges. It appears that several trees, such as sassafrass, beech and some maples, were “stalled” during our 10-day rainfest at the beginning of the month and are changing now rather than a few weeks ago. In addition, the rain was not torrential, so many of the early leaves, like dogwood and sourgum, kept their leaves. With the addition of what we call the “late changers” — several types of maple and oak — Mother Nature is putting on quite a show this week. And as we are writing this, it is, guess what, raining, so as long as it’s not too windy, we suspect the late changing leaves will stick around for at least another week in our immediate area. DuPont State Forest: Take Hwy 280 south of Asheville, or make it more scenic with a drive down US Hwy 276 as we mentioned last week, and discover the waterfall-laden area known as DuPont State Forest. 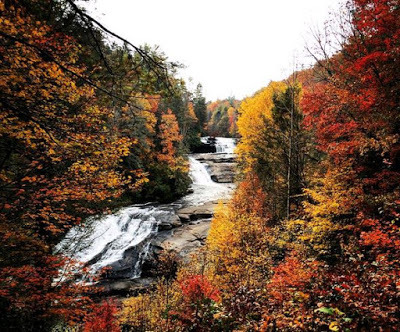 With almost 10,500 acres, DuPont State Forest is a beautiful spot in late October. See RomanticAsheville.com’s excellent information page on waterfall hikes in this lovely state park. 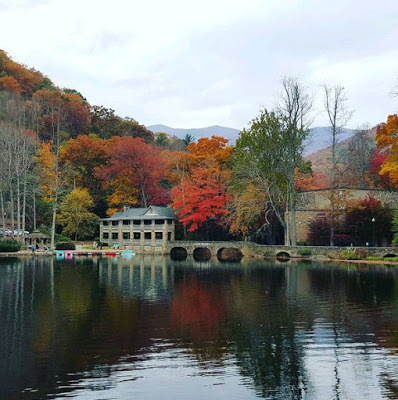 Montreat hiking trails and Lake Susan: Montreat is one of our favorite places to send guests for hiking. 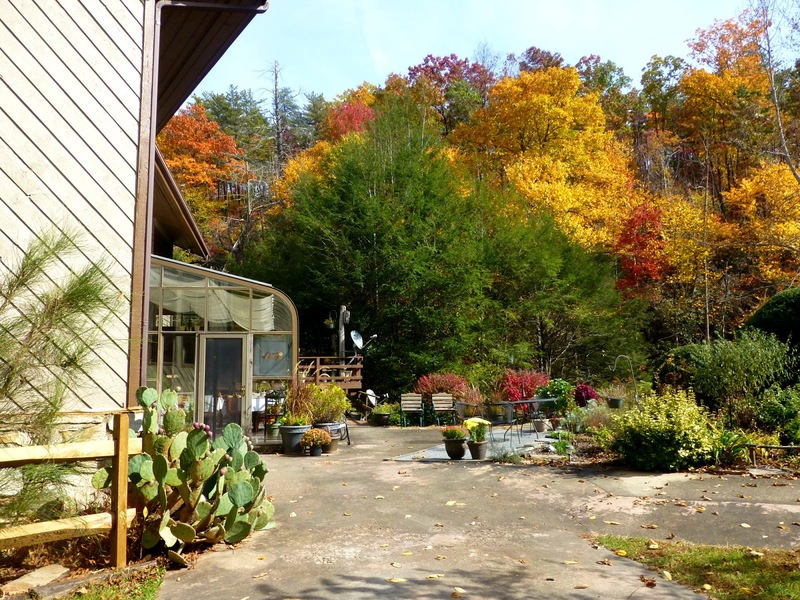 More than 20 trails surround this picturesque community, anchored by Lake Susan, Montreat College and a Presbyterian conference center. The path around the lake is perfect for an autumn stroll. 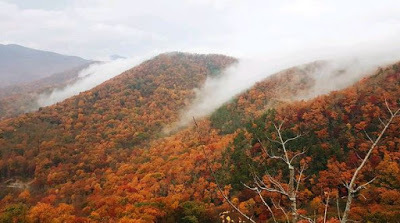 Trails in Montreat vary from the walk-through-the-woods Rainbow Road Trail to the lengthy Greybeard Trail that takes you to the top of the highest peak in the Seven Sisters range. One of the most popular hikes in Montreat is Lookout Mountain — just before the peak is a rocky outcropping with fantastic views. Biltmore Estate: How does 8,000 acres of outdoor beauty sound? 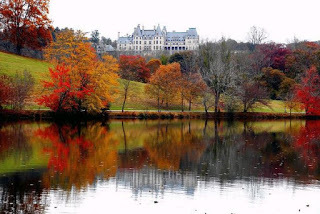 In addition to a 175,000 square foot mansion (castle, really) and a winery, Biltmore Estate features gorgeous gardens, both formal and park-like, a lagoon and bass pond, and multiple bike and walking trails. You can purchase discounted tickets to Biltmore right here at the Inn on Mill Creek B&B and get a free second day to explore the estate. Bonus: The decorations go up in October at Biltmore in preparation for the estate’s Christmas season that starts in early November, so visitors this time of year also get two seasons for the price of one! It’s likely that next week will be our final fall color report for the 2015 season. You’ll still be able to see color just south of the Inn…we’ll see you next week with the details! This entry was posted in Fall Color Reports and tagged Asheville, Biltmore, DuPont State Forest, fall foliage, hiking, Montreat, outdoors by Inn on Mill Creek. Bookmark the permalink.